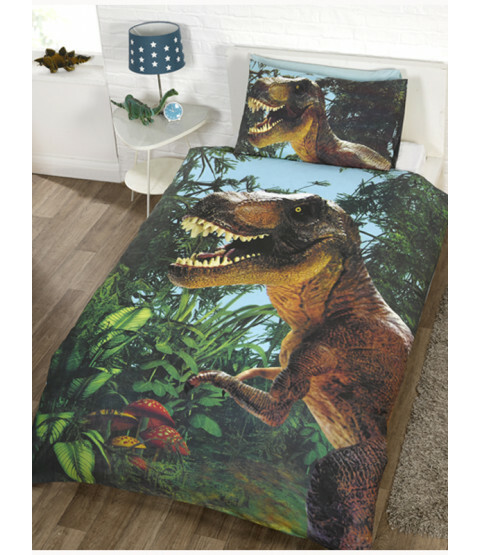 Our Jurassic T-Rex single duvet cover and pillowcase set is the ideal bedding set for little dinosaur fans! 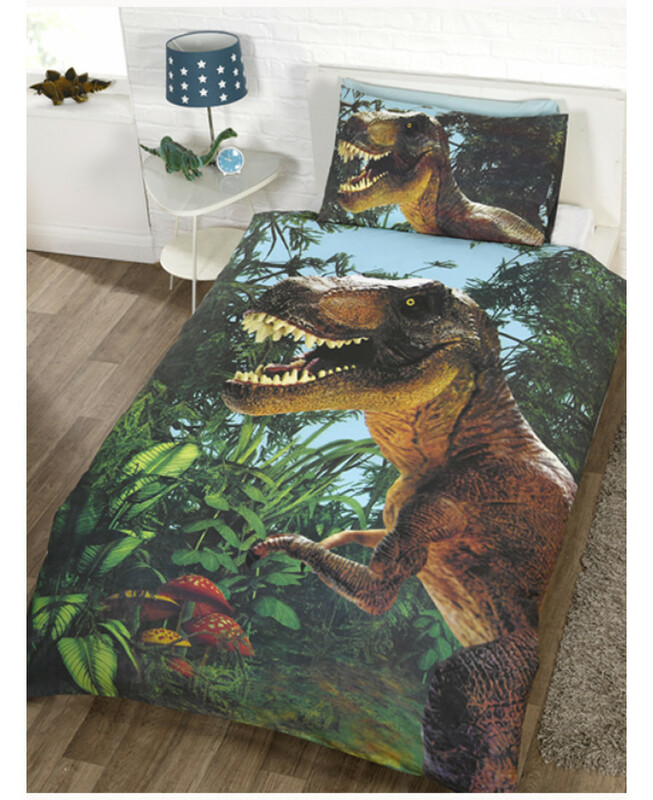 The stunning design features a scarily realistic close up image of a fearsome T-Rex set on a background of jungle foliage. 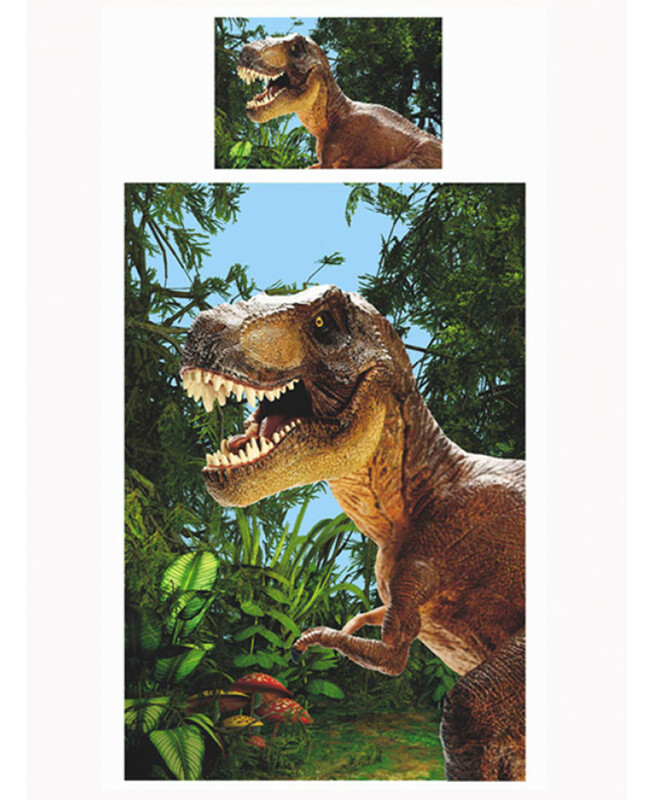 Made from a polycotton blend, this set is suitable for machine washing and tumble drying on a low setting.